As of Friday the 26 of October Nordic Energy Research, Latvia, Estonia and Lithuania have all signed the Nordic-Baltic Memorandum of Understanding (MoU), officially putting the memorandum into effect. The signing parties of this MoU are: Mr Hans Jørgen Koch, Nordic Energy Research CEO; Mr Arvils Ašeradens, Deputy Prime minister and Minister of Economics of the Republic of Latvia; Ms Kadri Simson, Estonian Minister of Economic Affairs and Infrastructure; and Mr Žygimantas Vaičiūnas, Minister of Energy of the Republic of Lithuania. With all four signatures in place the 2.4 million Euro collaborative energy research programme can now begin. 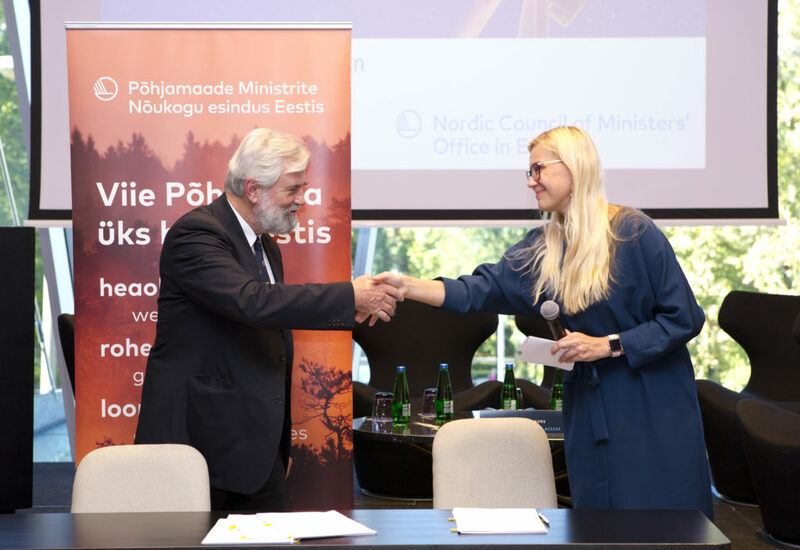 Initiated by Nordic Energy Research and developed in collaboration with the Baltic States’ ministries responsible for the energy sector, the Nordic-Baltic MoU establishes a collaborative energy research programme across the two regions. To promote intra-Baltic and Baltic- Nordic energy research projects with participation of Baltic researchers. Create a Baltic- Nordic PhD collaboration programme. Foster an exchange of energy research between the Baltic and Nordic countries. The memorandum of understanding will help pave the way for further research cooperation between the Nordics and Baltics and build upon the success of the Baltic Energy Technology Scenarios project. On April 26th of this year, Nordic Energy Research published a report that laid the groundwork for further cooperation on energy between the Nordic and Baltic countries, by indicating possible areas for future research. The report Baltic Energy Technology Scenarios 2018 (or “BENTE”) explores the changes in the Baltic countries’ energy systems: What are the drivers and their impacts for the following decades? What would be required for the Baltic countries to meet their climate and energy targets in 2030, and what developments would lead the Baltics towards a 2°C pathway? Two of the conclusions from the BENTE report are; that the Baltic countries could achieve proposed renewable energy targets using domestic resources; and that renewable energy is becoming the cheapest option for new electricity generation. BENTE was created in cooperation between Nordic Energy Research and researchers from the Technical Research Centre of Finland, Ea Energy Analyses (Denmark), Tallin University of Technology, The Institute of Physical Energetics (Latvia), the Lithuanian Energy Institute, and Riga Technical University.